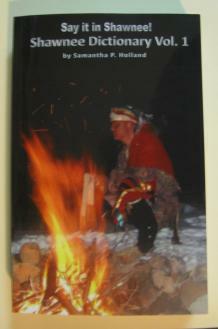 This is the first comprehensive Shawnee Language Dictionary available with a total of 1112 pages. 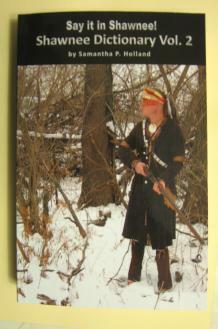 This is a English to Shawnee Dictionary with a Shawnee grammar section. Each of the 7700+ entries include the Shawnee pronunciation, literal translation (when known) and source from where the entry was found.